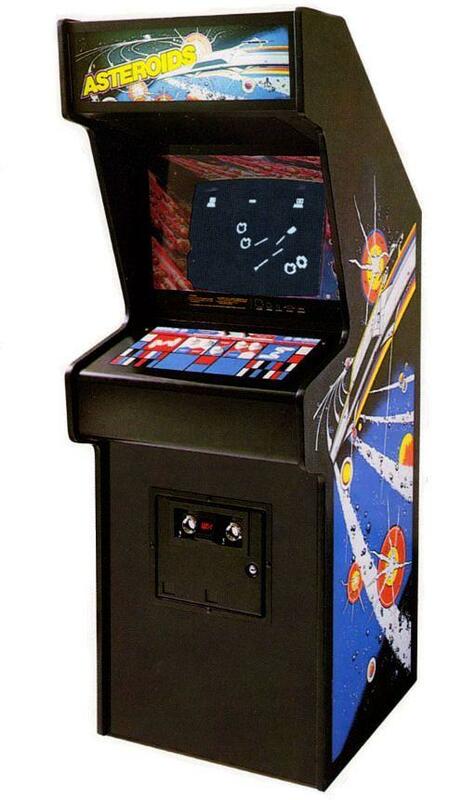 Asteroids released in 1979 by Atari Inc. The objective of Asteroids is to score as many points as possible by destroying asteroids and flying saucers. The player controls a triangular-shaped ship that can rotate left and right, fire shots straight forward, and thrust forward. As the ship moves, momentum is not conserved — the ship eventually comes to a stop again when not thrusting. The player can also send their ship into hyperspace, causing it to disappear and reappear in a random location on the screen (with the risk of self-destructing or appearing on top of an asteroid). Each stage starts with a few asteroids drifting in random directions on the screen. Objects wrap around screen edges — for instance, an asteroid that drifts off the top edge of the screen reappears at the bottom and continues moving in the same direction. 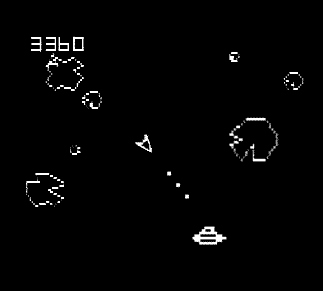 As the player shoots asteroids, they break into smaller asteroids that frequently move faster and are more difficult to hit. Smaller asteroids also score higher points. Periodically, a flying saucer appears on one side of the screen and moves across to the other before disappearing again. 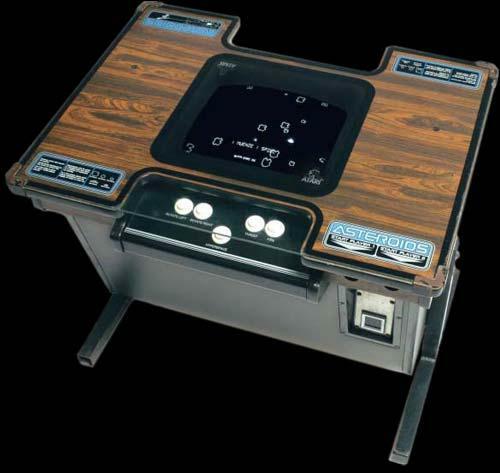 The Asteroids cocktail table arcade..
Asteroids.. was one of the most popular and influential game of the Golden Age of Arcade Games!